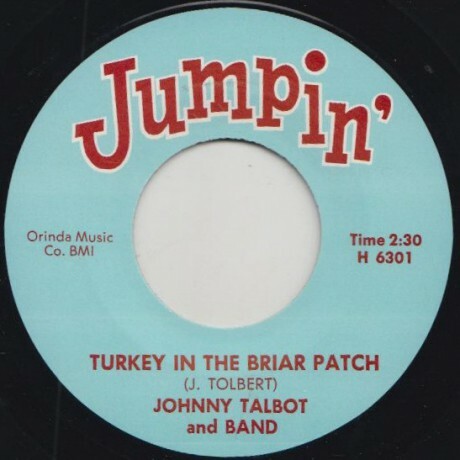 JOHNNY TALBOT "TURKEY IN THE BRIAR PATCH" / SANDY NELSON "CHOP CHOP" 7"
Killer 60’s dancer with bangin’ instro on the flip, originally issued on 'In Records' and 'Imperial'. Repro. 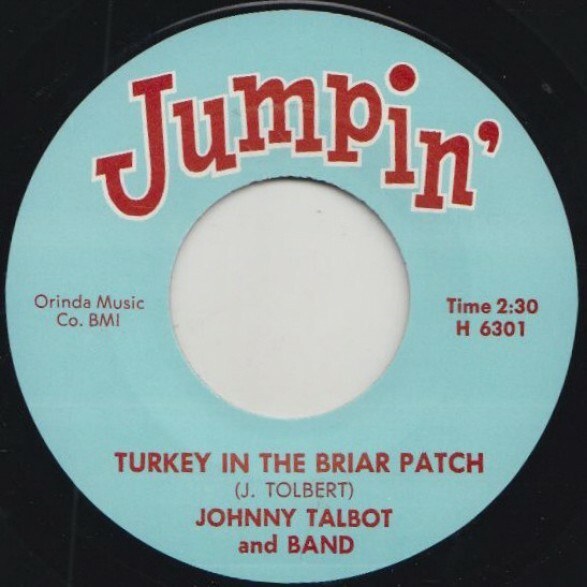 GINO PARKS "FIRE / FOR THIS I THANK YOU" 7"
BILLY EMERSON "I’LL GET YOU TOO" / MAC REBENNACK "SAHARA" 7"
EDDIE BANKS "SUGAR DIABETES" / ERNIE FIELDS "TEEN FLIP" 7"
RONNIE ISLE "HASSIE" / THE BOATWRIGHT BROS. "THE BROKEN HIP" 7"
LOUIS HEYWARD "GOING BACK TO THE SOUTHLAND" / THE HI TENSIONS "SO FAR AWAY" 7"
JAGUARS "PICADILLY" / EDDIE RENAE & THE TITANS "SNAKE LEG" 7"
LI’L MILLET "RICH WOMAN" / BILL PARKER "SWEET POTATO" 7"
JOHNNY TWO VOICE "SUPERMAN" / GOOGIE RENE "BIG FOOT" 7"
JERRY THOMAS "KURRY BOUNCE" / D.C. WASHINGTON "THE MOHAWK" 7"
JIMMY & STAN "TAHITI" / ‘BABY‘ EARL & THE TRINIDADS "BACK SLOP" 7"